moirai Compositor v3 allows you to combine multiple images into a single perfectly composed layout – ideal for assembling storyboards, creating book or magazine page layouts, or creating photographic collages. Unlike other composition tools which rely on Photoshop® actions, this tool is built using Adobe ExtendScript, making it much more powerful. It can work with any size and any aspect ratio for the final image, and the number of individual elements you can add to the composition is virtually unlimited. View the tutorials below, and you’ll quickly see why this is the best tool of its kind. 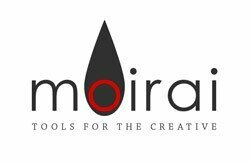 You can purchase moirai Compositor v3 by itself or get it as part of moirai Encompass v2. Requires Adobe® Photoshop® CS4 or higher. Note: Photoshop® CC 2015 for Windows, released late May 2015, has known bugs that may prevent proper execution of the Compositor. See the FAQ for more details. Instant layout previews. You no longer have to click a button to see the layouts. The layout previews are there on the same form as where you define the source images and the other attributes of the final composition. We’ve also made it easier to navigate the layouts and quickly browse through potentially large numbers of layout possibilities. Fully-rendered layout previews. One of the coolest features is being able to see a real preview of the final composition, right there in the layout preview. Greater variety of layouts. We’ve updated the algorithm that computes layouts so that it can come up with even more layouts than before, which can lead to very interesting and dramatic compositions. Support for many more source images. We used to think that 15 to 20 source images was a lot. But our customers have tried many more than that — 30 and even 40 — and encountered shortcomings in the original version when trying to handle so many. This version provides much better support for using a huge number of source images — using 100s of source images is now possible. Improved layout calculations. The previous version was subject to some “rounding errors” that could cause the source images to not properly line up along the bottom or right edge of the final composition. This new version uses new calculations to make pixel-perfect compositions every time. Improved use of background images. There are now new options for placement of a background image to get just the look you’re going for.